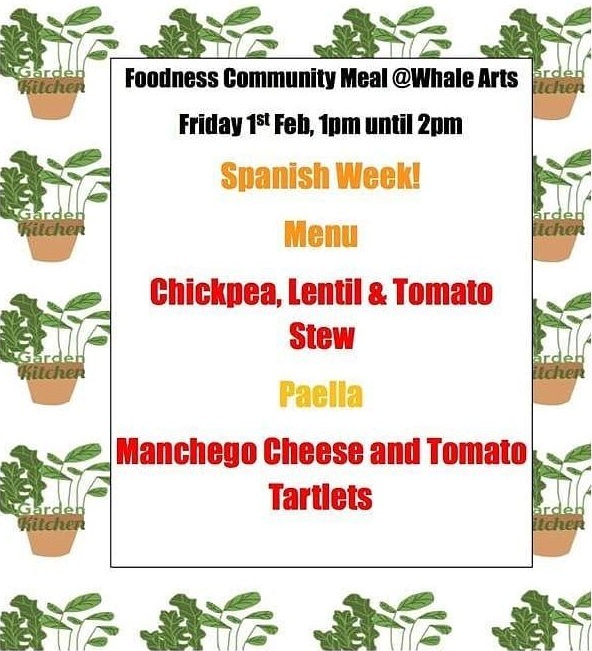 Tasting Change will be hosting the Foodness Community Meal at WHALE Arts this Friday, 1 February 2019, from 1.00pm. Following the results of a vote at the previous community meal, Tasting Change will be cooking a Spanish themed menu. Come along and enjoy delicious Spanish treats and meet your friends and neighbours! Spanish volunteer and Tasting Change member Encarni will also be cooking up a Spanish Tortilla omelette! For more information about the community meal contact WHALE Arts on 0131 458 3267 or info@whalearts.co.uk.